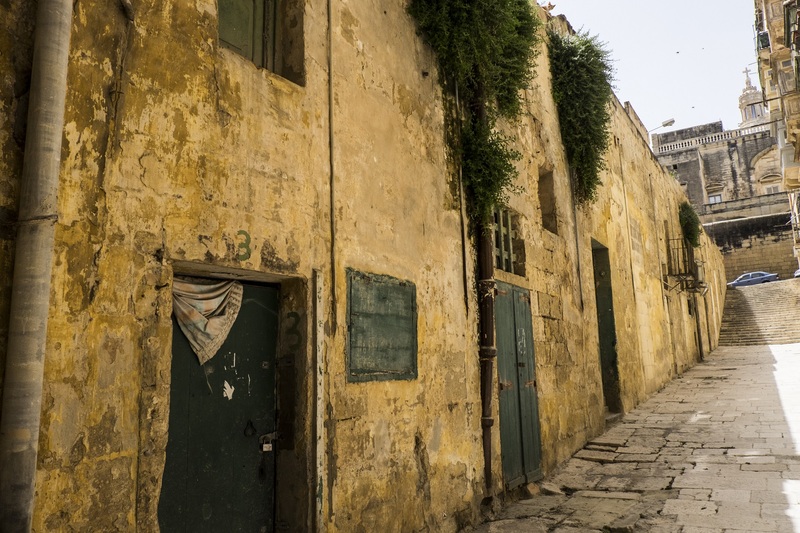 The Valletta 2018 Foundation announced that the area behind Auberge de Bavière, known as the Old Abattoir, will be given a new lease of life by means of an extensive regeneration project that will be starting this year. Valletta 2018 Foundation Chairman Jason Micallef said, “This project is a clear example of how Valletta as a European Capital of Culture, is working on projects intended to have a lasting legacy and bring about substantial results. This is among the main infrastructural projects of Valletta 2018, intended to intertwine urban rehabilitation in Valletta with strategic needs of the cultural and creative sector”. Mr Micallef added that the creation of work opportunities in the field of design, will be made concrete by means of the Valletta Design Cluster. This should have a lasting impact on the way students take decisions regarding creative carriers. The Minister for Justice, Culture and Local Government, Owen Bonnici said, “The Valletta Design Cluster will be addressing the priorities of the Structural Fund 2014-2020 programme. This provides assistance for the creation of incubators and spaces equipped for creative industries”. The design sector currently employs 1,200 people in 600 enterprises in Malta and Gozo. The Valletta Design Cluster structure for assistance will be drawn up in a way that the potential for export and innovation will be exploited to the full by the private sector. This would create new employment opportunities for artists, designers and other creative professionals, especially young people. Dr Bonnici also highlighted that the Valletta Design Cluster will be offering residencies for artists and design experts allowing assistance and collaboration between Maltese creative enterprises to flourish while making international opportunities in the field possible. Professor Richard England confirmed the need for a space such as the Valletta Design Cluster for new enterprises which need support and opportunities for collaboration. “The strength of a space of the sort is in the way it will be bringing creative people together in one space, on a regular basis. It will also be providing formal and informal work spaces, as well as others for discussion and collaboration in a stimulating environment where ideas can be transformed into job opportunities and successful creative carriers,” Prof. England said. Caldon Mercieca, a Manager at the Cultural Directorate who is leading the project, noted that the main building, situated at the heart of the Old Abattoir, was built in the 17th Century and had several functions over the years. It was originally used as an abattoir and was later transformed into bakeries and residencies. Over recent years however, the building fell into disuse and the site is now in a state of abandonment which negatively affects the historic building itself, as well as businesses and residents in the area. Mr Mercieca continued that the Valletta Design Cluster, a new entity under the responsibility of the Ministry responsible for Culture, will be overseeing the rehabilitation of the building and the creation of spaces dedicated for individuals, companies and organisations in the field of design, within it. The Cluster will be offering assistance to new companies in the field of design and work to create links with educational institutions including the University of Malta and MCAST, is underway. As a result, new graduates coming from several sectors will be able to start up new creative companies with the help of the Valletta Design Cluster. Over the next three years, the Valletta Design Cluster will be working hand in hand with the Restoration Department for the necessary works and alterations allowing the new use of the building, to be carried out. 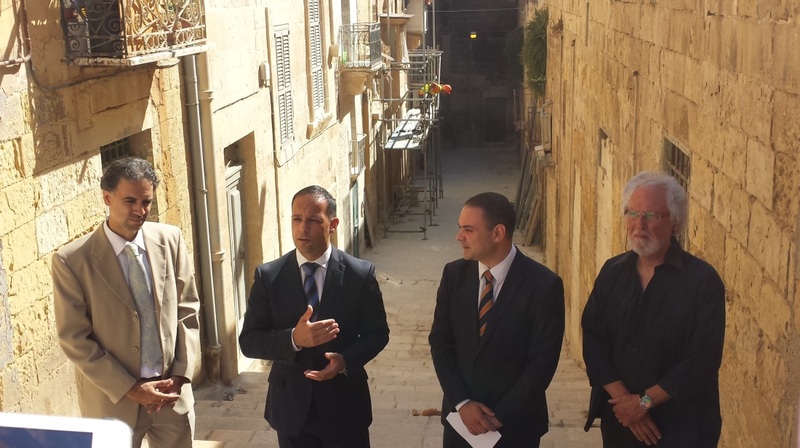 Works will be undertaken in full respect to the residential and urban structure of the area. In fact, several meetings and workshops focusing on the impact of the project on the community, have already been held. The preliminary works on the actual building, which are planned to start in summer, will consist of the full cleaning of the building and extensive efforts to restore dangerous parts of the building.